Wedding season is almost upon us and in preparation for the big day part of that planning is complete dress galore. I've teamed up with OK Dress to help you meet your dress dreams and hopefully find the one you've been looking for. 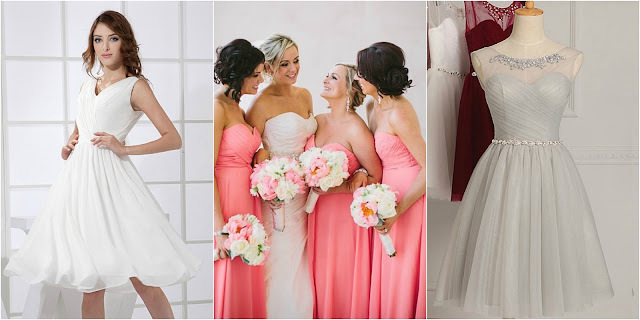 OK Dress don't just offer bridesmaid dresses, but also wedding gowns, homecoming and dresses for any special occasion. The dresses look truly beautiful and there's so much variety to suit anyone's taste and styles. The prices vary and there are lots of offers on, you can get some really cheap bridesmaid dresses and loads of bridesmaid dresses under £100. There's also dresses for a variety of different events; Sweet 16 and Cocktail parties to name a few. They also do a selection of accessories to go alongside those dresses and shoes - shoes!!! If you've got an upcoming formal occasion coming up then OK Dress are well worth checking out.